There are 41 public schools and 7 non-public schools in Miami County. School enrollment (Average Daily Membership) in these schools in 2010 was over 18,700 students. In 2010, over 46% of county residents had a higher education degree or have attended a higher education facility. The Troy City Schools recently completed a major modernization project that added a new science wing, gymnasium and office area to the high school; new rooms and renovation to Concord Elementary School; and remodeling and reopening of Forest Elementary School to meet the needs for more classroom space. This project was considered a prudent, effective alternative to building more costly new facilities (including a new high school at edge of town) after public opinion was gathered and various other options were reviewed. The current high school, junior high school, and board of education office are all located adjacent to the city's recreational complex along the Great Miami River that includes the 10,000 seat Troy Memorial Stadium, Hobart Arena (ice/events), baseball and softball fields, one of the city's municipal parks, the aquatic center and an 18 hole public golf course. Voters in the school district not only approved the spending for this major project but also recently approved an innovative income tax to make sure the schools continue to provide quality education to Troy's young people. As importantly, Troy has built a reputation for preparing students for further education by having a teaching staff with a high percentage of advanced degrees and for opportunities in a wide variety of extracurricular activities. These include sports, music, drama, and a number of special interest clubs as well as competitions in science, mathematics, and problem-solving. Troy students regularly outperform state and national averages on national tests, the Ohio proficiency tests, the ACT and SAT college entrance exams. Large enough to offer a wide variety of opportunities, yet still the right size for personal interaction, the Troy Schools try to meet the needs of each student. Additional educational systems include: Troy Christian Schools (K-12), St. Patricks Catholic Schools (K-8), a Montessori school (preschool-sixth) and a vocational school/work program for the developmentally- disabled. There are several early childhood learning centers in Troy (including Overfield Early Childhood Program, a Reggio school that has received national/international recognition). In addition, there are two Japanese language schools in the region taught by Japanese instructors which provide cultural and language opportunities. One of these schools is located in Troy. The Upper Valley Career Center provides vocational training for high school junior and seniors. The Career Center also operates a state-designated full-service Adult Education Center for ongoing adult training. Customized training is designed to meet the needs of local business and industry. Business consultants are available through the this program to tailor and/or deliver regular or custom training programs. 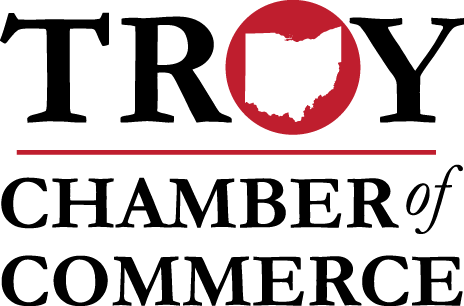 In cooperation with business and industry, the Career Center has built an outstanding core curriculum and has a reputation as one of the best in Ohio. The Career Center is very involved in local workforce development initiatives. Edison Community College offers two-year degree programs and has an important business and industry center to support the skill development needs of area business. Edison launched a major research and training initiative for the plastics industry. Also, a recent expansion program has allowed Edison to significantly increase enrollment in nursing and allied health programs. Miami Jacobs Career College opened a new campus in Troy recently. Miami Jacobs offers classes in a number of professional fields and quickly has become an important option for many Troy area residents who want to improve their skills or embark on a new career. The Hobart Institute of Welding Technology has been a leading school in welding instruction since 1930 and attracts students from all over the world. Founded by Hobart Brothers Company, the institute has trained more than 80,000 men and women in the art of advanced welding. At the Dayton Area Graduate Studies Institute (DAGSI), civilian and military engineers share labs and classrooms at the Air Force Institute of Technology, the University of Dayton and Wright State University. This non-profit combination of a federal institution, private university and a state-assisted university is an unprecedented collaboration of higher education. Troy is located in the center of an area that has an exceptionally large number of colleges and universities which offer undergraduate, graduate and post-graduate/doctoral degree programs. There are 25 such institutions within an hour drive of Troy. Nearby colleges include Wilberforce University, Urbana University, Wittenberg University and the University of Dayton; state universities such as Wright State, Miami, Cincinnati, and Ohio State; and specialized programs like the DAGSI.